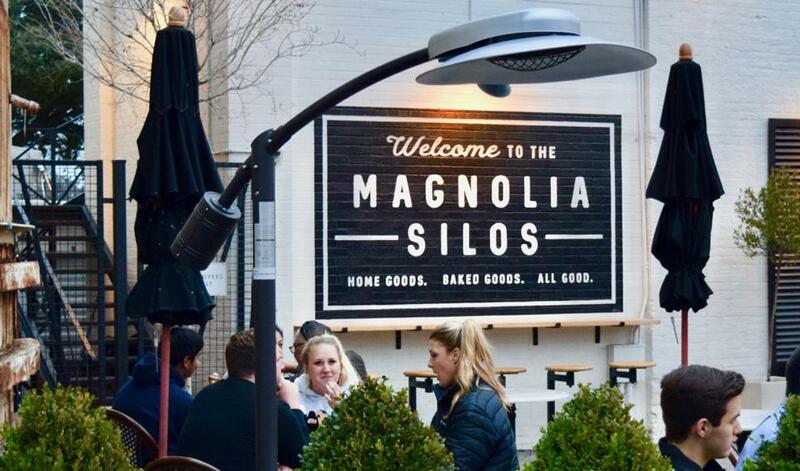 Customers enjoy baked goods and beverages at the Magnolia Silos in Waco, Texas. Looking to find all-things Chip and Joanna Gaines in Waco? Here’s a few must-visit destinations. This is where the magic begins. The two-block complex features a huge home store, lawn with games, and a bakery that serves 4,000 cupcakes a day. The complex is closed Sundays, so plan accordingly. 601 Webster Ave., shop.magnoliamarket.com, 254-235-0603. Housed in the former Elite Cafe, Chip and Joanna Gaines are turning the space into a breakfast spot, the only sit-down breakfast cafe in Waco. 2132 S Valley Mills Drive, magnoliamarket.com/our-restaurant-update. Chip and Joanna Gaines and their “Fixer Upper” empire have turned the previously sleepy Waco, Texas, into one of the country’s hottest up-and-coming tourist hot spots. 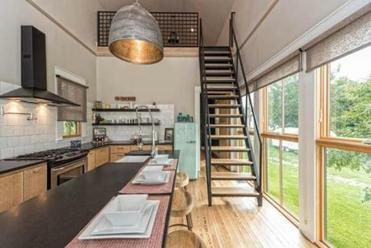 You may not be able to commission a giant barn wood table from “Fixer Upper” regular Clint Harp, but you shop for wooden candle sticks and other home decor items that will fit in your suitcase. 808 N. 15th St., www.harpdesignco.com, 254-230-2054. If you’ve been pining for a metal sign with inspirational words, you can visit Jimmy Don Holmes’ store and find what you need. You can also get in touch with your inner Joanna Gaines and commission your own sign. 9685 Lone Star Parkway, www.jdhirondesigns.com, Valley Mills, 254-486-9150. When Joanna shops with her husband, or the kiddos, she’ll often head to one of the 80 stores in Spice Village. 2nd and Franklin Ave., spicewaco.com, 254-757-0921. A favorite of the show, Laverty’s has a true “Fixer Upper” vibe. It’s only open by appointment and Saturdays. 600 N. 18th St., 254-754-3238. Owned by the Childers from season three, episode 11, the shop has pillows, quilts, and baskets. You know, the necessities.